My blog with the Toujours theme deployed for the season ahead. I have redeployed the Toujours theme on my blog to lighten things up for the season. Summer is coming and things are supposed to be brighter so I wanted to reflect that. Everything is bigger on this theme so reading and viewing pictures will be easier too. Now is a good time to spruce things up and to post about what you are up to these days. Reconnecting during warmer months is always fun. Enjoy and keep on blogging my friends. Spring Equinox 2017 in Northern Hemisphere was at 6:28 AM on March 20, 2017. Let’s enjoy the hopefully warmer, more consistent weather. Have a great beginning to the season. Also it’s Monday too, make it a great day or something like that. It’s May 2016 and hopefully April showers will indeed bring May flowers. Let’s see what this month has in store for us all. 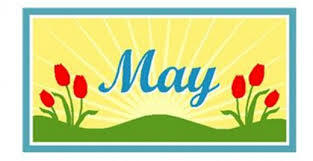 Happy May Day everyone. Spring has sprung sort of here. The temps to start the day were in the 40’s and haven’t warmed up much. We haven’t had much of a winter to speak of. There was only a small snow event in January and it’s been fairly mild. A new season has begun and the year is going by. Let’s have some spring to our steps. Author Tony "T-Bird" BurgessPosted on March 20, 2016 March 20, 2016 Categories Tony's PostsTags seasonal, seasons, spring, spring 2016, winter5 Comments on Welcome Spring 2016!